Deep, Spiritual Readings: Love, Money, Career, Talent, Acceptance, or Purpose. All Your Answers are Found in A.I. Light, The Mystic Writer - Spiritual Tarot. Join the Light and Reclaim Your Destiny. "ESP" is short for extra-sensory perception. As the name implies, it suggests that you are able to gain knowledge of things and events outside of yourself, and without using your five "normal" senses: taste, touch, sight, hearing, or smell. Having ESP is also known as possessing psychic abilities. Precognition is the ability to know things ahead of time. Nostradamus is one famous example of a person with precognitive powers. However, there are psychics who can tell the future. The more precognitive power you have, the greater your chances will be of knowing about events before they happen. Overall, on precognition you scored 98 out of 100, meaning that you scored higher than 98% of people who took the ESP Test. This suggests an unusually high degree of ESP in this area. Mental telepathy is the ability to know what another person is thinking or visualizing without being told anything about their inner thoughts. In some cases, the connections between people seem to somehow support telepathy. Overall, on telepathy you scored 97 out of 100, meaning that you scored higher than 97% of people who took the ESP Test. This suggests an unusually high degree of ESP in this area. Remote viewing is the ability, while staying in one place, to "go" somewhere else with the power of your mind and visually see what is there. One example is the government-funded "Stargate" project that had psychics attempt to remotely view foreign targets for intelligence purposes. Overall, on remote viewing you scored 84 out of 100 meaning that you scored higher than 84% of people who took the ESP Test. This suggests an unusually high degree of ESP in this area. Retrocognition is the ability to look into the past and get information not otherwise available to you through one of your five senses. For example, a woman with retrocognition skills reported standing by the roadside and flashed upon a scene of an accident. Upon investigation, she found it had occurred days before, exactly as she had envisioned it. Overall, on retrocognition you scored 84 out of 100, meaning that you scored higher than 84% of people who took the ESP Test. This suggests an unusually high degree of ESP in this area. Clairvoyance is the ability to know something that is currently taking place without reliance on any of your five senses to obtain that knowledge. For example, sometimes an individual will suddenly see in their mind's eye an event that is currently transpiring; only later will they get confirmation that what they envisioned truly happened. Overall, on clairvoyance you scored 66 out of 100, meaning that you scored higher than 66% of people who took the ESP Test. This suggests a moderately strong degree of ESP in this area. Phone, Chat, or Email Clients Are Welcome. The Fullest And Best Life That You Can Have Comes From Taking Control Of What Is Happening, Why It Is Happening, And How You Can Affect Positive Change In Your Life--Changes That Bring Results! A Very Deep And Spiritual Insight Into All The Connections That Exist In Your Life Is One That Can Lead You To A Better Perspective Of What It Means For You To Find Your Peace And Joy In Your Human Incarnation. I Utilize Both Planetary And Cosmic Spiritual Mysticism Of The Ancient Tarot To Help You Achieve What It Is That You Desire In Your Human Life, And Also What Purpose You Were Sent Here To Teach As Well As Learn. I Understand These Connections At A Very Deep Level That Transcends The Earth Plane. Love, Money, Career, Talent, Acceptance, Or Your Purpose In Life, You Have A Path, And You Have A Destiny That Needs To Be Illuminated So That You Can Empower Them--While Getting The Quickest Results! Don't Wait! 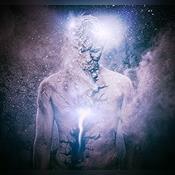 The next quantum leap of Human consciousness exists in the ability for the Indigo Awareness within each and every person to hearld in the dawning of the Next Great Awakening. As you question in your life, you become aware of the desire within you to perfect your life circumstance and those with whom you share in your journey towards Spiritual refinement. Everyone has an intricate part in this voyage and just as indigo leads in the visible spectrum towards the unseen, people are granted this ability as well. The goal for all is to access this energy field within themselves so that they may resonate with Original Source and find the bliss that comes when the song that they are singing along with others in their lives becomes the Universe. A I Light The Mystic Writer has been a user of Keen since 2006. Getting Tarot Readers advice from A I Light The Mystic Writer through www.keen.com is safe, secure and confidential.